With over two years in planning and a full year in development, XDP has introduced the all new XtremeDiesel.com. This site is built from the ground-up with industry leading features designed to give you a one-of-a-kind user experience. XtremeDiesel.com offers an easy-to-use site with advanced search functions that will allow you to find exactly the products you are looking for. Here is a brief description of some of the functions on the site. Advanced Search Function--The new advanced search feature starts to populate results and suggestions as you type. This allows you to quickly find the exact part you are looking for, without the need of digging through layers of categories. Advanced Product Filtering--XDP brings you a wide variety of products from all the top manufacturers in the industry. The new Advanced Product Filtering feature allows you to see exactly what you want while removing the other options that don’t meet your criteria. Selecting options such as size, finish and material quickly narrow down your selection giving you the exact product you’re looking for. Search By Year, Make & Engine—XDP’s new Parts Finder gives you the ability to easily narrow down parts that specifically fit your truck. This new feature allows you to enter the specific Year, Make & Engine of your desired vehicle, and will only show you parts that fit that exact application, greatly reducing the possibility of ordering parts that don’t fit your truck. My Garage—Personalize your experience with My Garage. 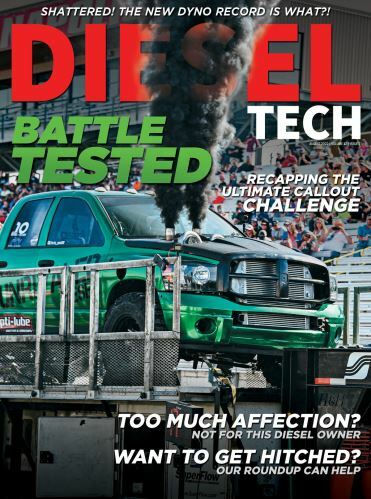 Add your truck to your account to custom tailor your user experience specifically to the diesel you own. Your selection is saved to your account, so every time you return you can shop with confidence knowing that you are choosing parts that are guaranteed to fit your application. Product Visualizer—Not sure where to start? Utilize our brand new product visualizer to graphically search for a starting point for your build. Browse by one of five major categories, enter your truck selection and scroll through categories to help guide you in the right direction. Product Specifications—By jumping down to the Specifications section, you can quickly and easily see what material that downpipe-back exhaust is made from, if it’s a single exit or dual exit, and whether or not it includes an exhaust tip. Putting this information where you need it gives you the confidence to accurately place your order and get your build under way. Customer Photos—Customer photos give you the ability to see our products in use from enthusiasts who have already installed the product on their own diesel. They may even provide an idea or two, on your upcoming build. All you have to do is navigate to the product you have installed on your diesel and scroll down to the customer photos section and select “submit your vehicle” and attach your photos directly to the email. After approval, your photos will be featured on the page for hundreds of thousands of other enthusiasts to view. You can also email your photos, along with the part number of the product to customerpics@xdp.com.